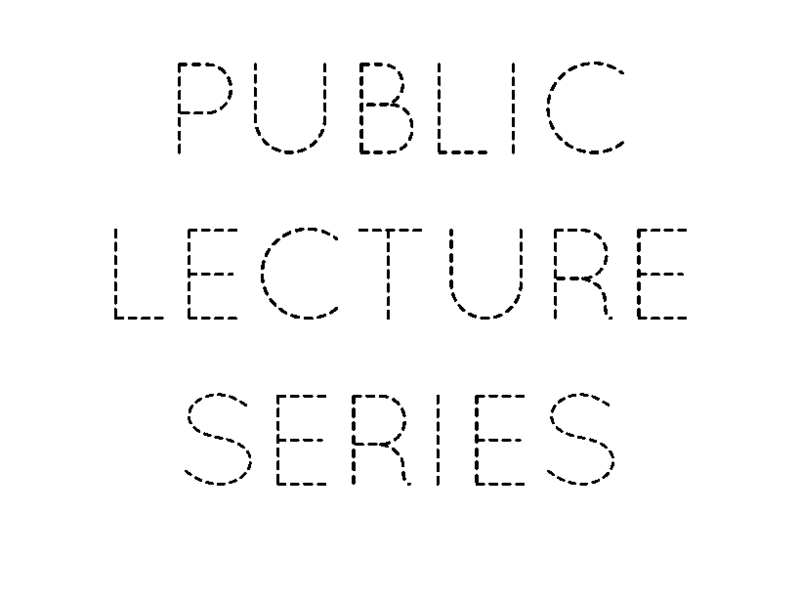 Public lectures are held in the Speight Audtorium (also known as Room 1220) in Jenkins Fine Arts Center on the campus of East Carolina University and hosted by the School of Art and Design and the ECU Metals Guild and Material Topics Symposium Committee. Susie Ganch is an artist and educator living in Richmond, VA where she is Interim Chair for the Department of Craft and Material Studies in the School of the Arts at Virginia Commonwealth University. She received her MFA from University of Wisconsin-Madison. Ganch is an artist who questions consumer culture and the impact humankind has on the environment. Part of her practice is Directing Radical Jewelry Makeover, an international jewelry mining and recycling project that continues to travel across the country and abroad. Recent solo exhibitions include: How Soon is Now?, MS State University, TIED, an ArtForum Critics’ pick, Visual Arts Center, Richmond, VA, Land and Sea, Sienna Patti Contemporary, Lenox, MA. Her work has been included internationally in museum exhibitions including: Smithsonian National Museum for Women in the Arts, MFA Boston, the Design Museum, London, the National Gallery of Victoria, Melbourne, Australia, Ueno Royal Museum, Tokyo, Japan, Cameron Art Museum, Wilmington, NC, the Kohler Art Center, Sheboygan, WI, Milwaukee Art Museum, WI and the UICA, Grand Rapids, MI. Public collections include: Los Angeles County Museum of Art, CA, Asheville Art Museum, NC, Fuller Museum, Brockton, MA, National Metal Museum, Memphis, TN, and Quirk Hotel, Richmond, VA. Susie Ganch is a recipient of the Virginia Museum of Fine Arts Fellowship, Peter S. Reed Foundation Grant, Theresa Pollack Fine Art Award, a VA Commission for the Arts Grant, and multiple VCU Faculty Research Grants. She is represented by Sienna Patti Contemporary Gallery. DESCRIPTION: We live in the long shadow of Enlightenment thinking. Primarily thought of as oppositional to all that is modern and rational, the idea of magic is often viewed with skepticism. This presentation will reframe our assumptions and biases and examine jewelry’s relationship with language and how this potent connection is evidenced in ritual and magic. Drawing on historical context, as well as my own work, I will discuss how jewelry functions as a magical, mnemonic device – as an archive that gives us access to a body of knowledge and experience. BIO: Lori Talcott is a Seattle-based visual artist, the fourth generation in a family of watchmakers and jewelers. Through the format of jewelry, her work and research engage with contemporary theories on magic, the agency of objects, and the nexus of language and matter. Her performance projects explore the role of jewelry as a rhetorical device, and in this capacity, how it functions as an agent in rituals that negotiate social, temporal, and spiritual boundaries. After her undergraduate work in art history (Lund University) and metal design (University of Washington), she worked as an apprentice to a master silversmith in Norway, and later completed her MFA in Visual Arts (Vermont College of Fine Arts). Talcott is the recipient of two Washington Artist Trust fellowships and an Arts Fellowship from the American-Scandinavian Foundation. Her work is in numerous private and public collections, including the permanent collections of the Smithsonian American Art Museum and Renwick Gallery, the Tacoma Art Museum, and the Rotassa Foundation. Talcott’s work is represented by Sienna Patti Gallery in the USA, and Platina Gallery in Europe. For the past ten years she has been a Guest Lecturer in the graduate program at Rhode Island School of Design. DESCRIPTION: Reflecting on my experiences as a maker of jewelry objects, it seems that the journey — including what is learned through teaching others–is always reflected in the work. Drawing on the images of my past and current landscapes feeds the content and context of what and how I make. I will speak about life as a bi-racial woman growing up in Southern California and my experiences that have fed my work as I have moved across the United States and now settled in New England. BIO: Tanya Crane is a Professor of the Practice in Metals at the School Museum of Fine Arts at Tufts. Crane received her MFA in Metalsmithing + Jewelry from the University of Wisconsin-Madison in 2015, and her BFA in Metal from the State University of New York at New Paltz. She is the 2017 winner of the Society of Arts and Crafts Artist Award and will have her first solo exhibition at the National Ornamental Metal Museum in Memphis, Tennessee in January of 2019. BIO: Dr. Emily Stoehrer is the Rita J. Kaplan and Susan B. Kaplan Curator of Jewelry at the Museum of Fine Arts, Boston where she oversees a collection that spans 6,000 years and includes more than 22,000 objects. She received her PhD from Salve Regina University and a master’s degree from the Fashion Institute of Technology. Over the last decade, Stoehrer curated exhibitions at the MFA Boston, lectured internationally on jewelry-related subjects, and taught courses on fashion and design. Most recently, she co-curated “Boston Made: Arts and Crafts Jewelry and Metalwork” and co-authored the related publication Arts and Crafts Jewelry in Boston: Frank Gardner Hale and his Circle. She was also a contributor to Maker as Muse: Women and Early Twentieth Century Art Jewelry and On and Off: Jewelry in the Wider Cultural Field. Stoehrer is a member of the board of directors for the Society of North American Goldsmiths and is currently writing a book on jewelry and celebrity culture. DESCRIPTION: In 2006, the Museum of Fine Arts, Boston celebrated two landmark events— they welcomed a gift of more than 600 examples of “contemporary” jewelry from the Daphne Farago Collection and became the first fine art museum in the United States to have a Curator of Jewelry. In truth, the museum had been collecting jewelry since its inception in the 1870’s but these two events rose awareness of the institution’s encyclopedic collection. Three years, later the Museum opened a gallery dedicated to jewelry, and today there are two galleries dedicated to the exhibition of jewelry. But, perhaps that leaves more questions than answers. Have you ever wondered: Who decides what gets exhibited? How are new acquisitions chosen for the collection? What happens to all the things that aren’t on view? Now is your chance to get some answers. BIO: Gwynne Rukenbrod Smith currently serves as the Executive Director for the Society of North American Goldsmiths (SNAG), an organization dedicated to the support and advancement of contemporary jewelry and metal artists. Before that, Gwynne was the Executive Director for HandMade in America, an economic development organization that focuses on growing craft economies. While there she created Craft Labs a professional development series of classes for artists. From 2008 -2010, Gwynne was the Curator of Fine Craft at the Houston Center for Contemporary Craft, a nonprofit organization founded to advance education about the process, product, and history of craft. There she coordinated the traveling exhibition Craft in America and curated a significant blacksmithing exhibition, Forged, Tempered, Quenched which combined historical blacksmiting with contemporary pieces, illustrating the growth in the field over the last century. She is an accomplished glass artist as well as an arts executive. She ran a successful glass business for several years. Rukenbrod Smith previously was Executive Director of the International Society of Glass Beadmakers, Art Curator of The Works (the Ohio Center for History, Art and Technology), and the Director of the Short North Neighborhood Foundation. She has worked with both rural and urban communities teaching her professional development and entrepreneurship workshops across the country for over 10 years. Gwynne believes in helping artists expand their markets and create sustainable businesses. Gwynne is a member of the Craft Think Tank that convenes annually to provide a platform to explore how craft organizations and makers can work more closely together to further American craft. She currently serves on various boards including, Public Art and Cultural Commission with the City of Asheville, Art Business Institute, and World Craft Council North America. DESCRIPTION: Gwynne Rukenbrod Smith has been an artist, curator, and a director in the craft community for over 21 years. Come hear how she went from being a Chemical Dependency Counselor to HIV+ heroin addicts to the Director of the Society of North American Goldsmiths. Her creative journey has not been a traditional one. Gwynne will share her creative path with the audience, how she discovered her superpowers, and will get you to think a little differently about your path and future in the field. BIO: Elizabeth Brim has an MFA from the University of Georgia and has studied extensively in metals, sculpture, and blacksmithing at the Penland School of Crafts. Elizabeth was the iron studio coordinator at Penland for six years and coordinated two national iron symposia that were held at the school. Elizabeth has taught blacksmithing at Penland, Haystack, Peters Valley and has been a visiting artist at several universities and Cranbrook Academy of Art. She has taught and exhibited extensively in the United States, and internationally in Germany and Canada. DESCRIPTION: Starting with images of childhood work, graduate school as a printmaker, and studying ceramics at Penland School where I found metal and jewelry making and finally the Penland Blacksmith Shop, I will show the path followed. Sharing images and stories will explain how I came to use ancient traditional blacksmithing techniques to produce sculptures that are feminine in theme and mimic the appearance of soft fabric. I will discuss what I love about working with steel and how entering a profession dominated by men affected my work as a blacksmith.